2016 – Finished 8th at the Peoria TT. Also raced in the X Games, finishing fifth. 2013 Finished 29th in the overall GNC1 point standings. 2012 Made just one start and finished 16th at the Illinois State Fairgrounds. 2011 Kirkness earned one Top10 out of four starts. His best position was a ninth-place finish at the Illinois State Fairgrounds. 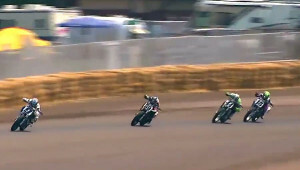 Raced with Yeager Cycles Suzuki/Harley-Davidson. 2010 Kirkness had an impressive season qualifying for 13 main events. 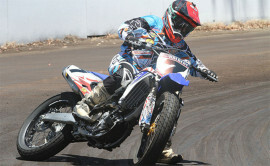 He earned a best finish of ninth-place at Springfield TT, Gas City Short Track, Hagerstown Half-mile, and Peoria TT. Raced with Dave Burks Motorsports team. 2009 Kirkness earned AMA rookie of the year, placed fourth at Peoria TT and Springfield short track, and placed 10th at Hagerstown. 2008 Kirkness placed fifth at Peoria TT. 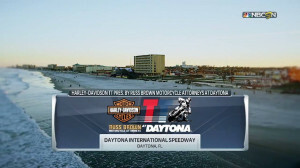 Mick Kirkness will be the only Australian in the field for X Games Harley-Davidson Flat Track, and he's one of just two international riders in the field. 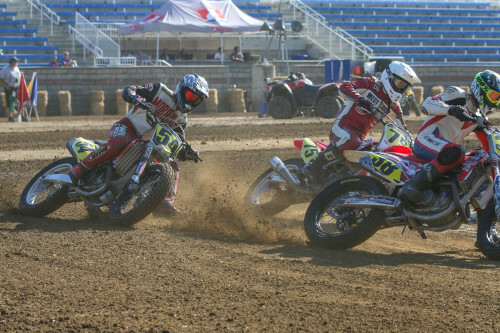 June 30 will see the AMA Pro Racing stars of the premier dirt track Grand National Series descend on the "pea gravel" half-mile oval for the 29th consecutive year.